Hattie Saussy: Rediscovery of an Artist Exhibition opens on June 30, 2017 at the Telfair Academy, located at 121 Barnard St. Savannah artist Hattie Saussy (1890–1978) pursued her passion for painting from the time of her youth until near the end of her long and productive life. Comprising 38 original works of art selected from 19 private and institutional collections throughout the country, this touring exhibition will constitute the first major retrospective of Saussy’s work in more than 30 years. 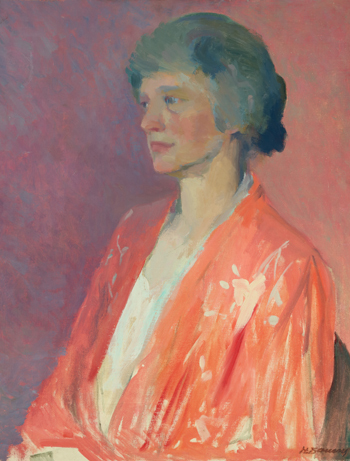 Saussy distinguished herself as a great American painter by effortlessly fusing elements of impressionism into her realist compositions, formulating her own traditional, yet unique, painting aesthetic. Visitors will have the opportunity to view paintings and drawings spanning more than 60 years and offering rare insight into the artist’s creative evolution. Although Saussy’s work has been largely overlooked in recent decades, it is hoped this exhibition will bring about much-needed appreciation of this remarkable artist of the American South. For more information about the Hattie Saussy: Rediscovery of an Artist Exhibition, go to telfair.org.